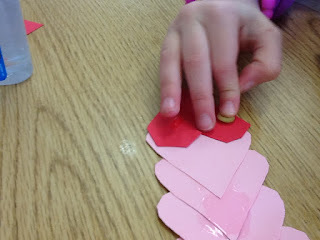 Here is a great little fine motor activity that my friend Lori showed me for Valentine's Day. 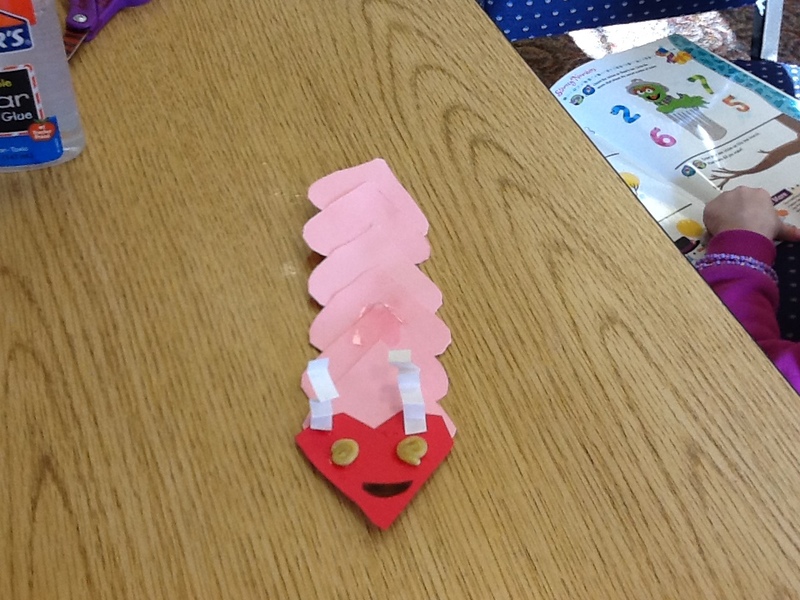 All that you will need for this craft is red, pink, and white construction paper, scissors, Wikki Stix- or something else to use as eyes, and glue. Start out by cutting out a small heart and have the child trace around it. This is great for bilateral skills! Then have the child cut out the heart. 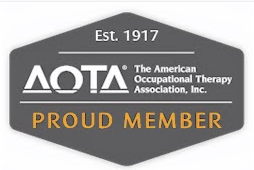 Be sure that the student holds the scissors correctly and keeps both "thumbs up" while cutting. I often remind them to take "baby snips" (short snips) which gives them more control of curves and corners. 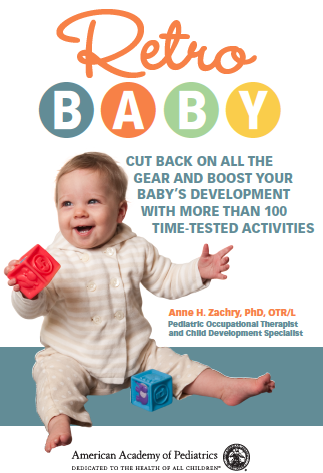 You may need to demonstrate a "baby snip" so the student understands what you mean. You can even do this "hand-over-hand" so they can feel how small the snip is. You will need six small pink hearts and one red heart of the same size. 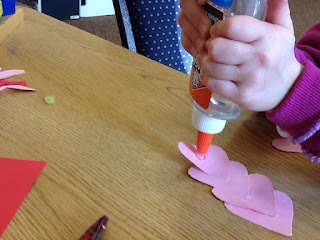 Now it's time to have the student place glue dots on the tips of each heart, then glue the hearts together to make a body for their Valentine caterpillar! I often use a pencil and make a small circle where the glue dot should be. 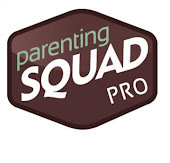 Tell the child to cover the circle using only a small squeeze. That way they will be able to see if they use too much glue. (Also, I like clear glue for this reason.) 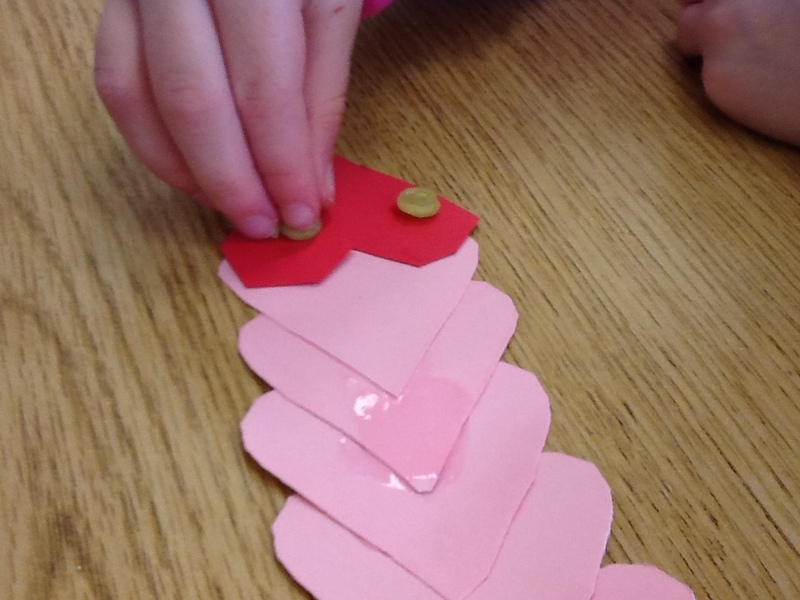 Have the student glue the head on the caterpillar- this is the red heart turned in the opposite direction. See photo below. Now it's time to make the eyes. I like to use small pieces of wikki stix and have the student roll them into small balls or spirals...a challenging fine motor skill! You could also use beads, googly eyes, or just a magic maker to make the eyes. the tentacles using small strips of white paper. Have the child fold the paper "like a fan", then glue the tentacles in place. Now have the child use a marker or to draw a mouth. What a cute Valentine Caterpillar!